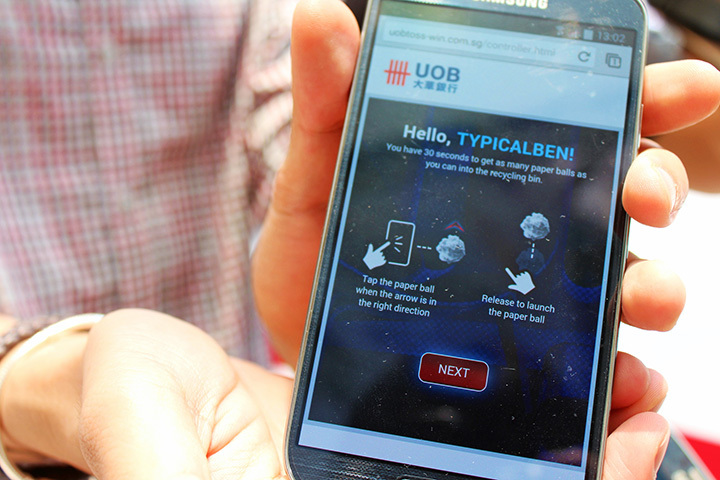 UOB - Go Paperless, Go Online and Win Cash! 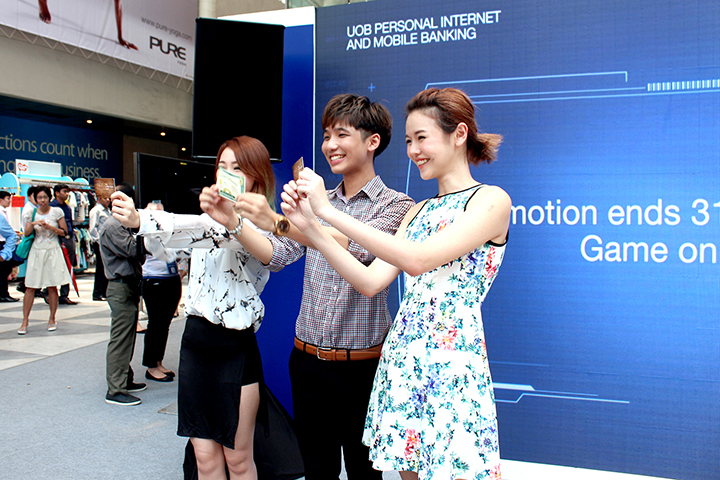 Went down to Chevron House for a really fun event by UOB, where they actually encourages all of us to go online and go paperless with our bank statements and bills. 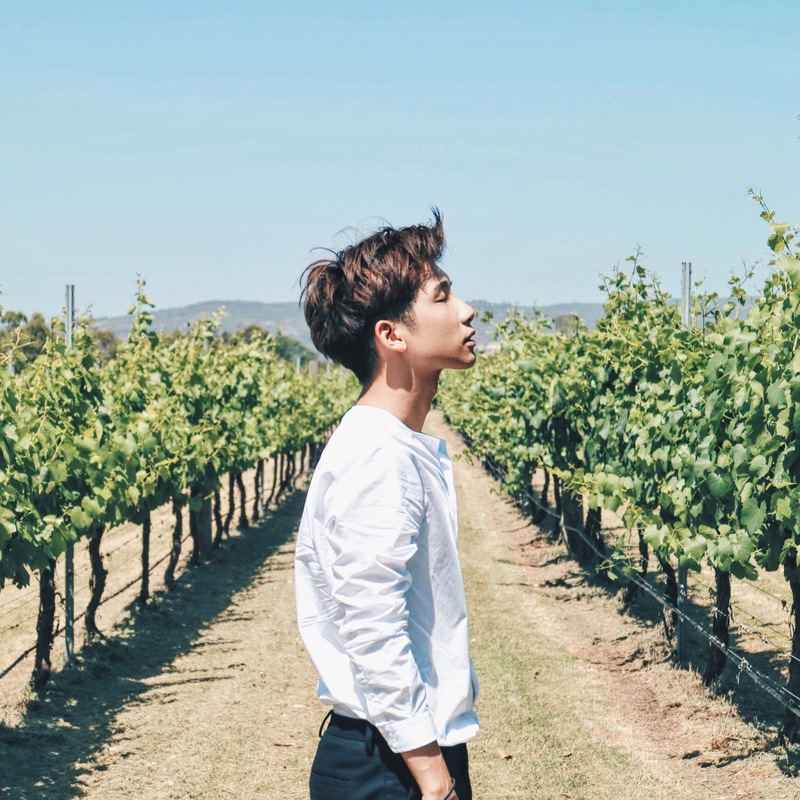 And for that, I feel that it's pretty awesome because going paperless literally means that you are actually helping to save paper and at the same time, saving the earth (with lesser trees needed to be cut everyday). So when I heard about it, I was telling myself, I definitely must share it with you guys about it! Because it is something I would do an opt for! 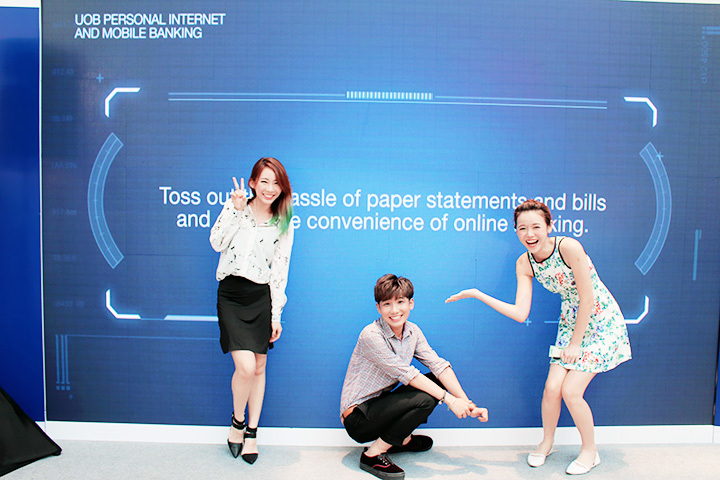 I personally feel that it so much easier to check our bills and statement online nowadays since all of us are so internet savvy and always on our mobile phones or laptops! So why not right? 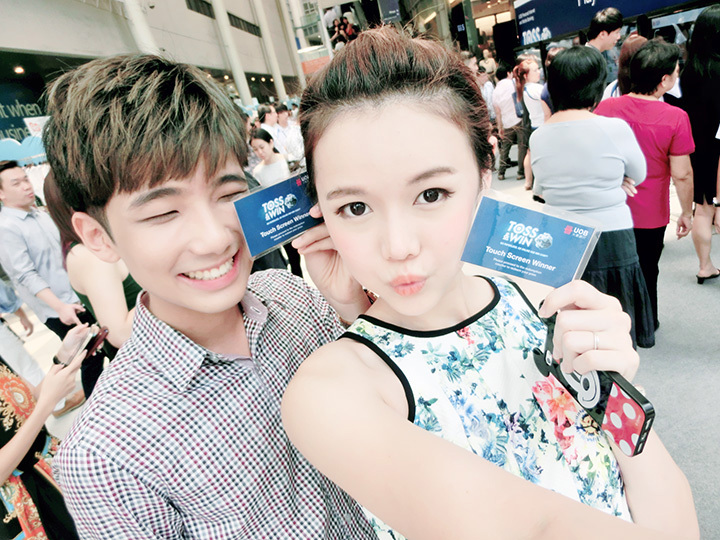 Head down to the event with Rachell and Qiuqiu! 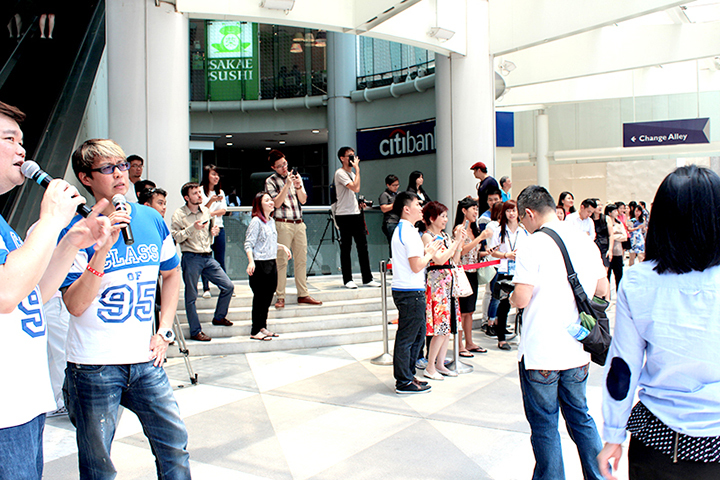 And here's a group photo of us with Joe and Glen as they were hosting the event! 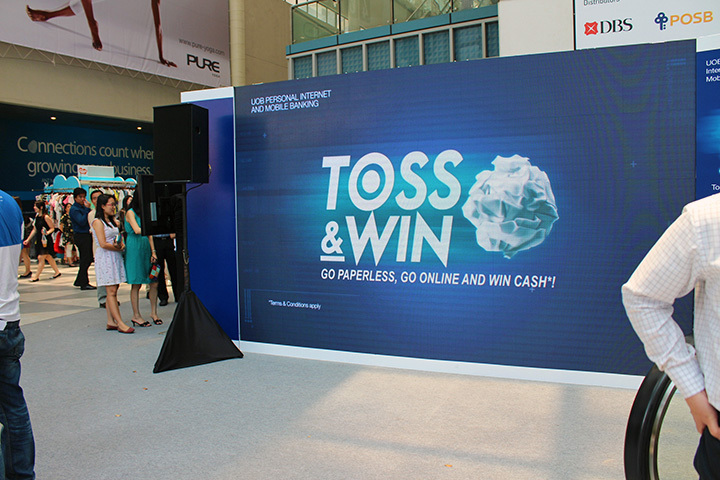 And during the event itself, we also got to play the Toss & Win game and win prizes! 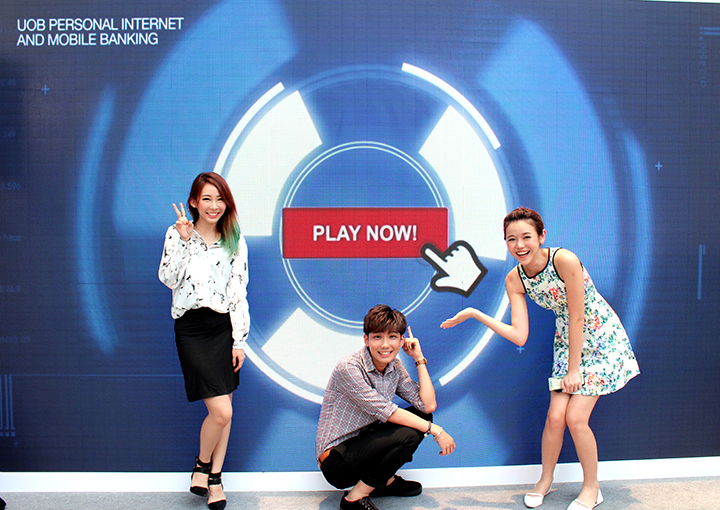 For those of you who are reading this now, don't worry okay, you guys can also play it online and win cash prizes! Let you guys know more later! 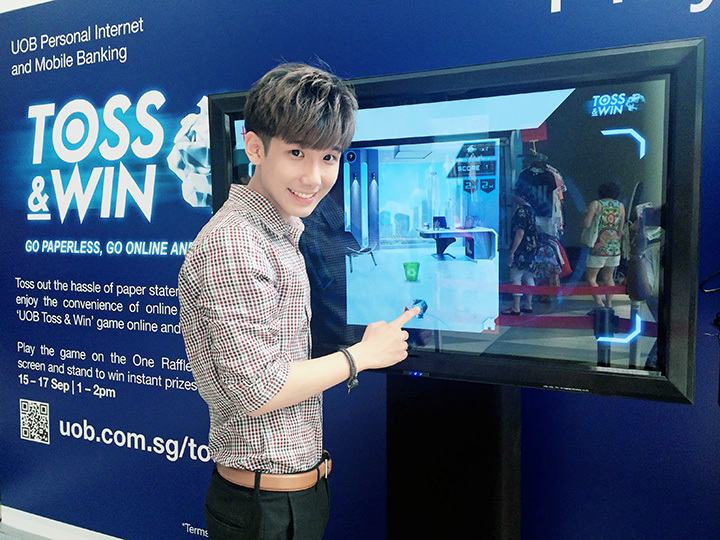 Feeling pretty excited as I'm queuing up to play the Toss & Win game hahaha! 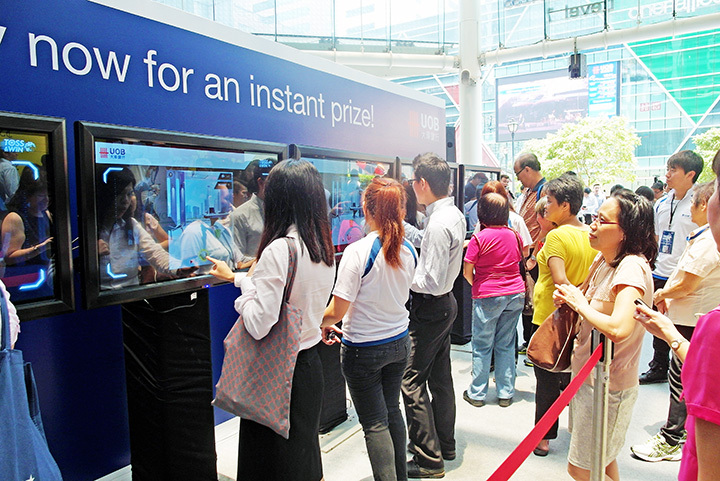 I noticed that the game is really simple, so I think a lot of people all win the prize eh. Okay, it's my turn! Qiuqiu jiejie is beside me playing also! 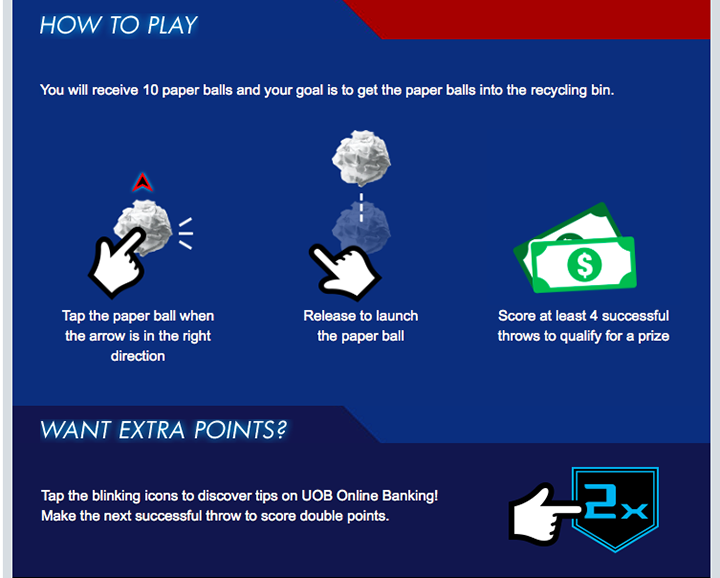 We just have to shoot the crushed paper into the bin, and try to score as many points as possible! It's so easy and fun! Want to guess how many points I scored??? 10 points!!! 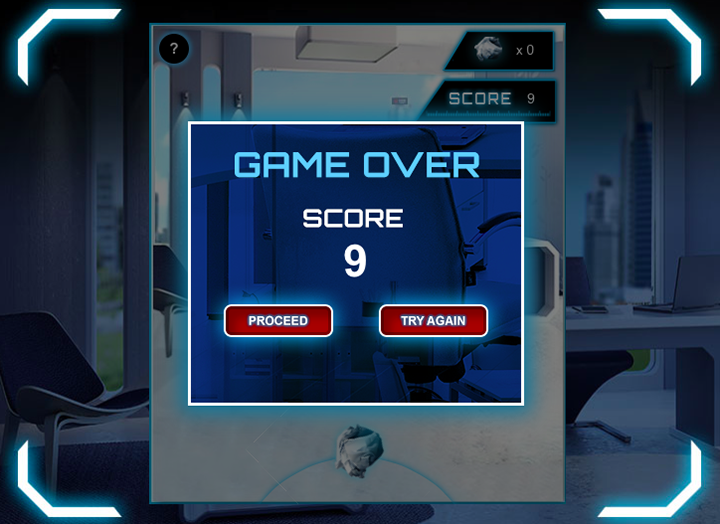 You guys can challenge me later if you want, and see if you can beat my score! 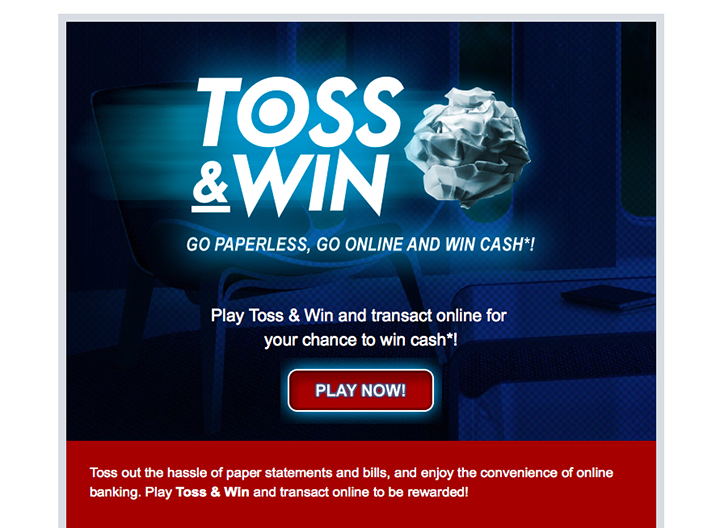 ;) I think this also shows that going paperless is really easy and simple too! Yay winner hahaha! Gonna go exchange for my prize! 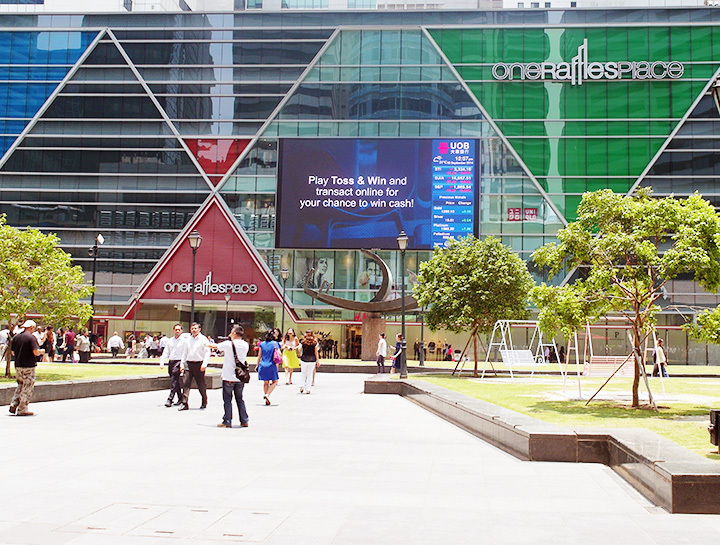 Yay exchanged for a voucher, which I went to buy soy milk after! 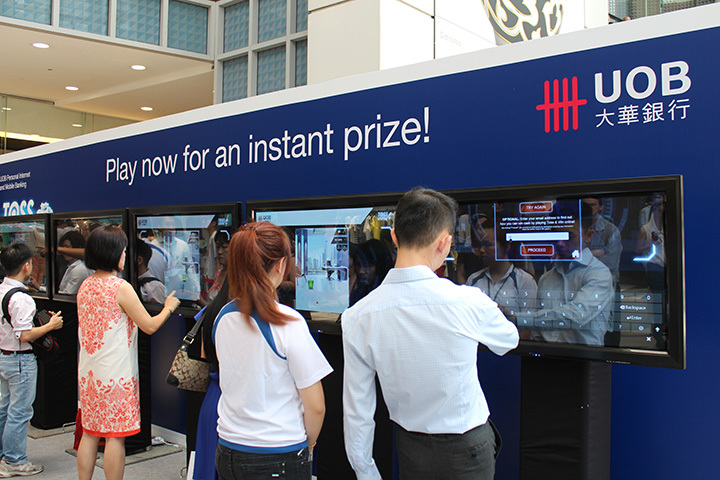 There is also another way to play the game, which is through this big screen and you can win a even better prize! Everyone was getting really hyped up and excited, and all wanted to try to play! We want to play too!!!! 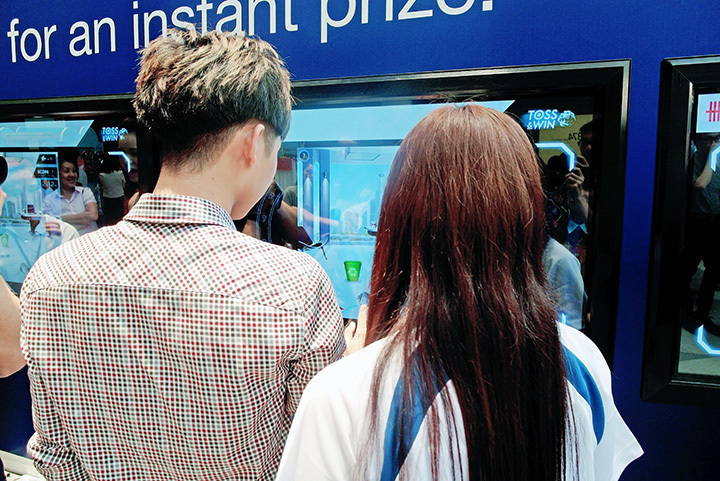 My turn next omg! Keyed in my name and I'm ready to go!!! I didn't managed to win this time round, while the 2 girls won!!! Whattttt! 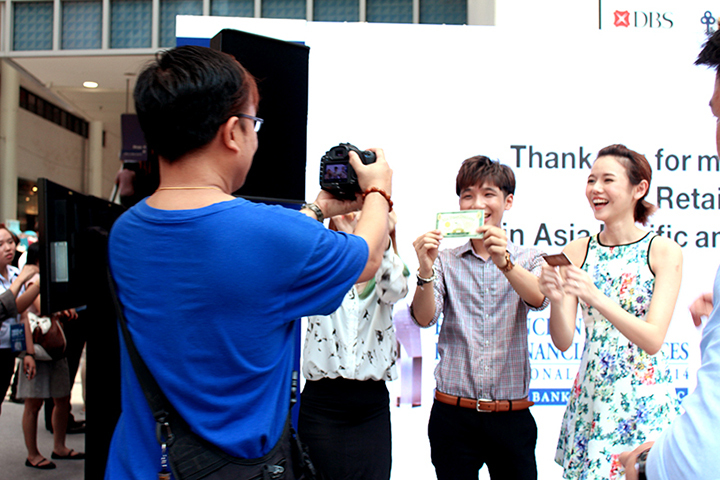 They both each won a Coffee Bean card, so when we were asked for picture, I just took out my Mr Bean voucher that I won earlier to pose with it lolol! 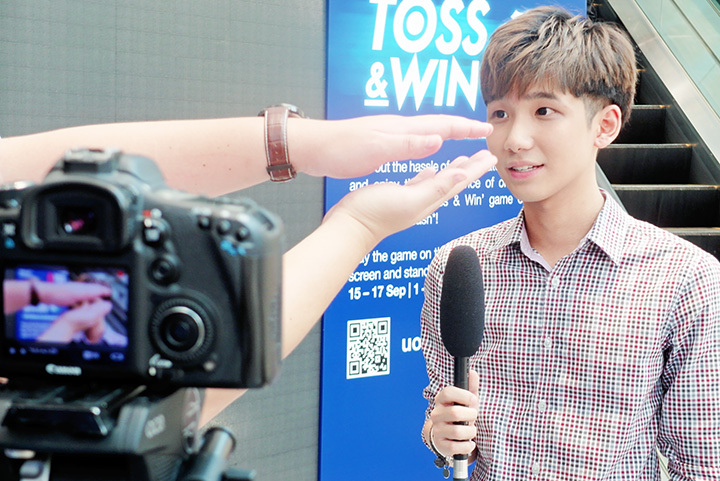 To think of it now, I felt that it was really funny because all 3 of us were very excited and enthusiastic that day when playing the Toss & Win game, cause we were like competing among each other hahaha. During interview! 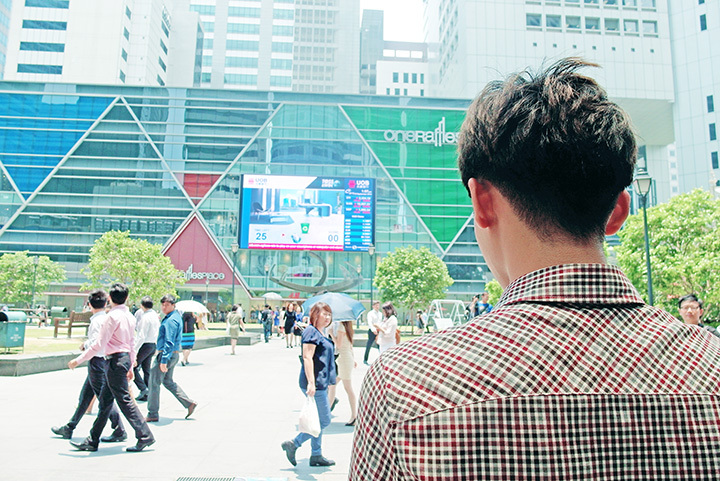 Love this photo that Josh (Qiuqiu's husband) took for me! 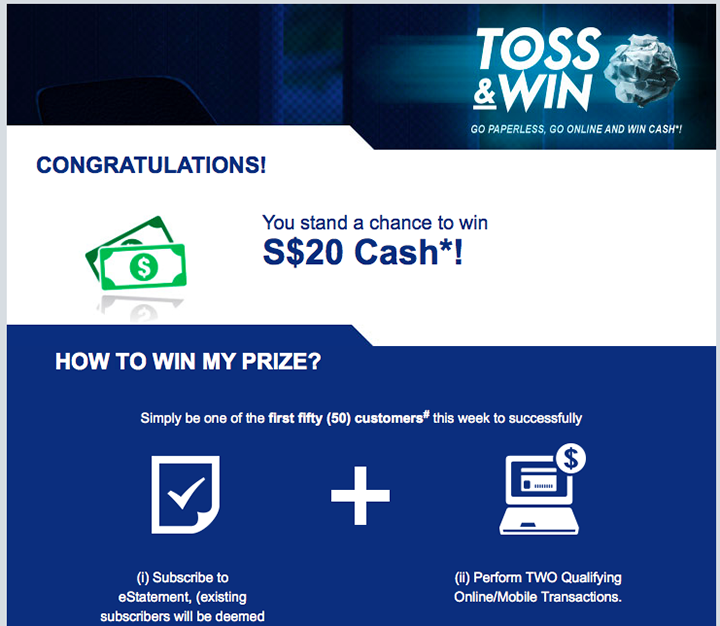 And now..... it's your turn to Toss & Win to win cash prizes and to challenge all of us with your score!!!!! 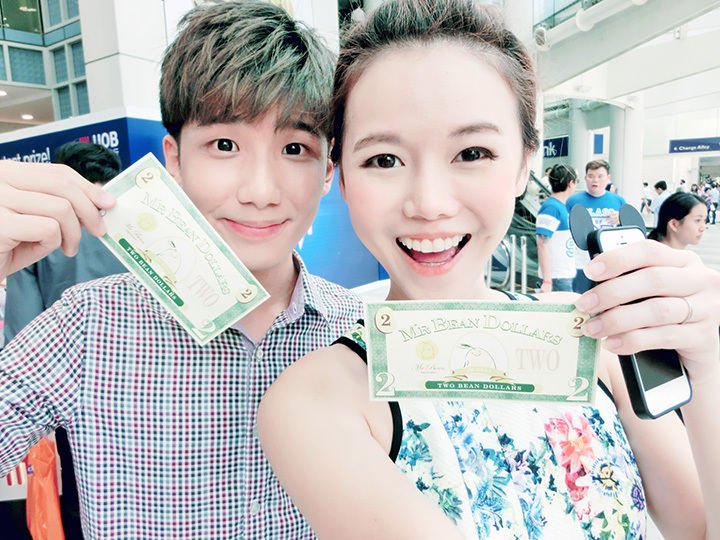 They have S$66,000 cash up for grabs, so play on your smartphone or computer now! 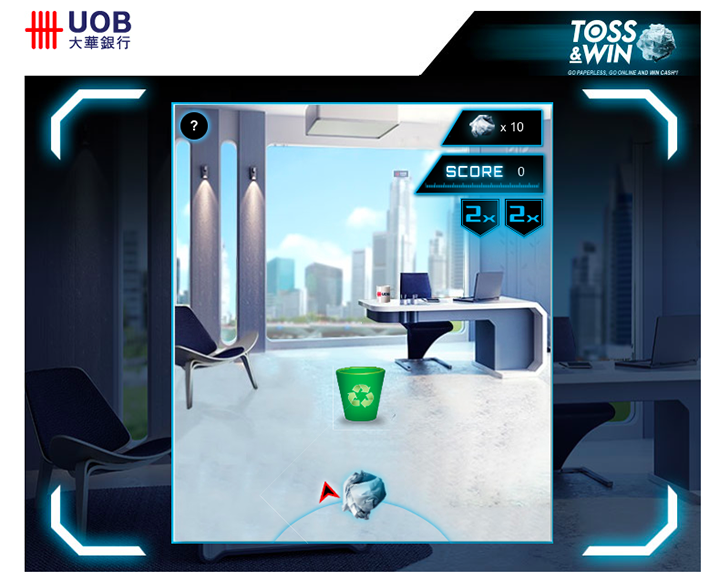 First, go to http://uob.com.sg/toss-win to play! And here's the game instruction! Simple and easy! I gotten 9 points!!! Which means I'm qualified for a prize yay!!! 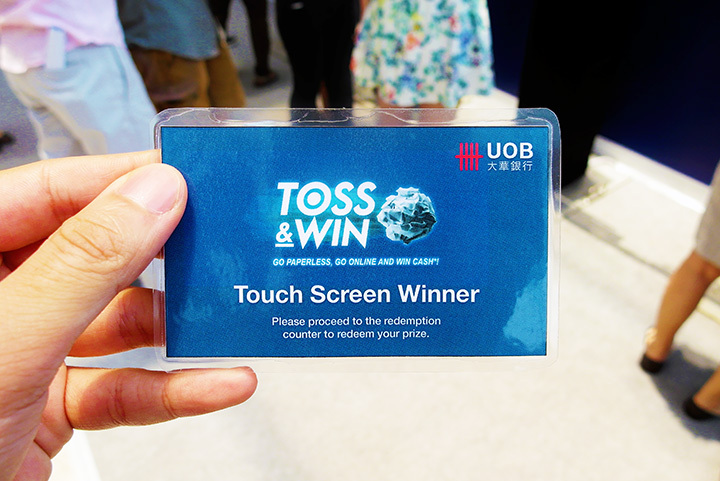 So come join us and play the UOB Toss & Win game from now until 31 October to win cash ! Nice choice of belt Ben! May I know where did you buy it?